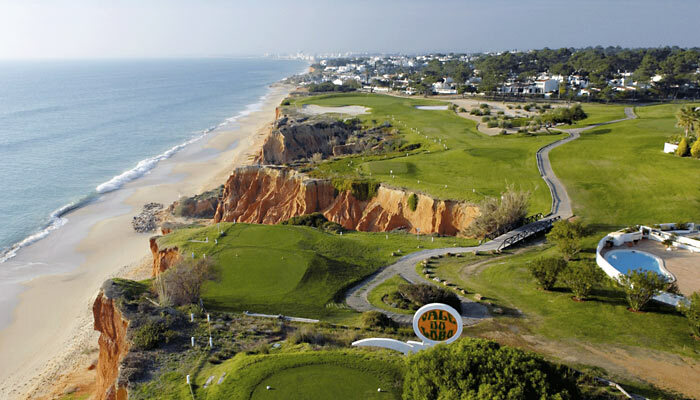 Vale do Lobo, translated as Valley of the Wolf in English, is located directly on the coast and offers two fabulous golf course along with the much favoured "Praça" with an ecliptic mix of bars, restaurants and night life as well as direct beach access and many activities throughout the year. As opposed to it’s neighbour, and perhaps fiercest rival in the tourism stakes at least, Quinta do Lago, Vale do Lobo is one effectively one large, exclusive resort. Opposed to many individual ones. 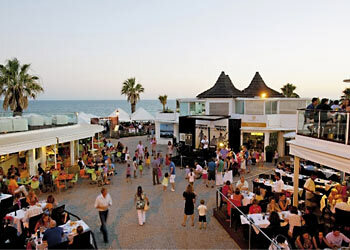 Vale do Lobo was among the first tourist resorts to be built in Portugal, having been catalysed by the Estado Novo’s decision in 1962 to build Faro Airport following the success in the 1950s of luxury Spanish resorts such as Torremolinos. In 1962, Trust House Forte acquired the land which became Vale do Lobo with the intention of turning it into a luxury resort. At the time, the region was a stone pine forest with a sand beach. Townhouses and villas were built for tourists and permanent foreign residents. An 18 hole golf course designed by Henry Cotton was built and Vale do Lobo quickly become a popular destination with the British market. In 1968, Trust House Forte and Costain Groupopened the first five-star hotel in the Algarve, the Dona Filipa, named after Philippa of Lancaster, whose marriage to John I of Portugal confirmed the 700 year old Anglo-Portuguese Alliance. In 1977 the Dutch entrepreneur Sander van Gelder acquired the resort out of receivership, after it had struggled financially following the 1974 Carnation Revolution. Venlo-born van Gelder had just sold his jewellery store chain Schaap en Citroen to insurance company Amev in the previous year, having acquired the chain eight years previously in 1969. He had originally intended to acquire a plot of land in the area and ended up taking the opportunity to acquire the whole resort. The resort was run under van Gelder’s ownership for the next 30 years, adding another 18 hole golf course and many facilities including bars, restaurants, and shops. The resort hosted the Portuguese Open in 2002 and 2003. In 2006 a combination of Portuguese and international investors together with the Portuguese state-owned bank Caixa Geral de Depósitos acquired the development from van Gelder, installing Diogo Gaspar Ferreira as CEO. Vale do Lobo has many differing options from the older Tennis Valley and Quadradinhos area’s where prices are very competitive with the rest of the Algarve, do stunning newly built modern villa’s with breath taking sea views just meters to the beach. All are under the same Vale do Lobo membership and services contract’s and offer a truly exceptional level of service and amenities not found in other areas’ of the Algarve. There is a strict building code within the Vale do Lobo area limiting the size and number of properties that can be built. The surrounding protected nature reserve ensure the serenity of an area known throughout Europe as one of the leading luxury resorts. 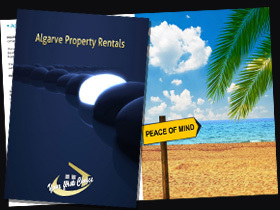 Due to the exclusive nature of the properties and their owners in this particular area not all properties are available for online publication. If you are looking for something specifically in Vale do Lobo please contact us and we will be happy to provide you with details of all currently available properties in this area.